Philip Gleason, Professor Emeritus of History at the University of Notre Dame, received a master’s degree in history from the University Notre Dame in 1955, joined the University’s history department faculty in 1959, and received his doctoral degree the following year. He chaired Notre Dame’s history department from 1971-74, and has also been a visiting professor of American Catholic history at Catholic University of America, and chair of The Catholic Commission on Intellectual and Cultural Affairs. In addition to setting a rigorous standard for faith-inspired teaching and research at Notre Dame, he earned an enviable reputation among historians worldwide. Gleason’s magnus opus is considered to be his masterful Contending With Modernity: Catholic Higher Education in the 20th Century. 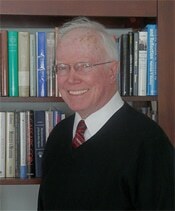 He is also the author of many other books on American Catholicism, including “The Conservative Reformers: German-American Catholics and the Social Order,” and “Contemporary Catholicism in the United States,” as well as “Keeping the Faith: American Catholicism Past and Present,” a collection of some of the most penetrating essays ever published on the subject. Gleason has also published an extraordinary number of journal articles, including, most recently, a historiographical review of the first hundred years of the Catholic Historical Review, published on the occasion of that journal’s centennial in 2015. Gleason is a past president of the American Catholic Historical Association and also the recipient of the Laetare Medal from the University of Notre Dame, the highest honor awarded to an American Catholic. For the breadth and depth of his contribution to the study of the American past, for his prominence in the field of American Catholic history and beyond, for his extraordinary generosity as a scholar, for the generations of students he has mentored and influenced, the American Catholic Historical Association presents its 2019 Distinguished Scholar Award to J. Philip Gleason. The American Catholic Historical Association proudly bestows its 2018 Teaching Award on Father Wilson D. (Bill) Miscamble, of the Congregation of Holy Cross and Professor of History at the University of Notre Dame. A native of “the land down under,” the great nation of Australia, Father Miscamble, came to the United States after his initial baccalaureate and master level education and completed a doctorate in American history at the University of Notre Dame in January 1980. Father Bill has traversed the grounds of the Golden Dome since then, completing religious formation in 1987 and being ordained a priest in 1988. 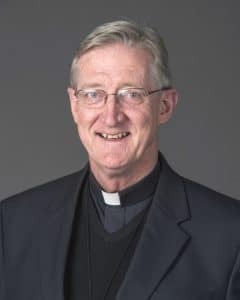 Father Bill has been a prominent member of the faculty at Notre Dame since 1988, as well as completing visiting fellow and professorships at Yale University and the University of St. Mary of the Lake (Mundelein Seminary) here in Chicago. He has held his present position of Professor since 2007. Father Miscamble’s expertise as a teacher, acknowledged by his students, has also been recognized by officials at Notre Dame. In 1989, after completing his first year of full-time teaching, he was awarded the Thomas P. Madden Award for Excellence in Freshman Teaching. In 1992 He was the first recipient of the Frank O’Malley Undergraduate Teaching Award. In 2001 he was the co-recipient of the Sheedy Award for Excellence in Teaching in the College of Arts and Letters. Lastly he has also received a Kaneb Teaching Award. While it is clearly evident that Father Bill is most deserving of this award for teaching, he must also be acknowledged for his significant contributions in scholarship. He has written three monographs, all associated with the presidency of Harry Truman, and numerous scholarly articles and book chapters. In March his long-in-generation biography of fellow Holy Cross priest and long-serving President at the University of Notre Dame, Father Ted Hesburgh, will be published. It is thoroughly appropriate that the American Catholic Historical Association bestow its 2018 award for teaching on Father Bill Miscamble, of the Congregation of Holy Cross, priest professor, and scholar. 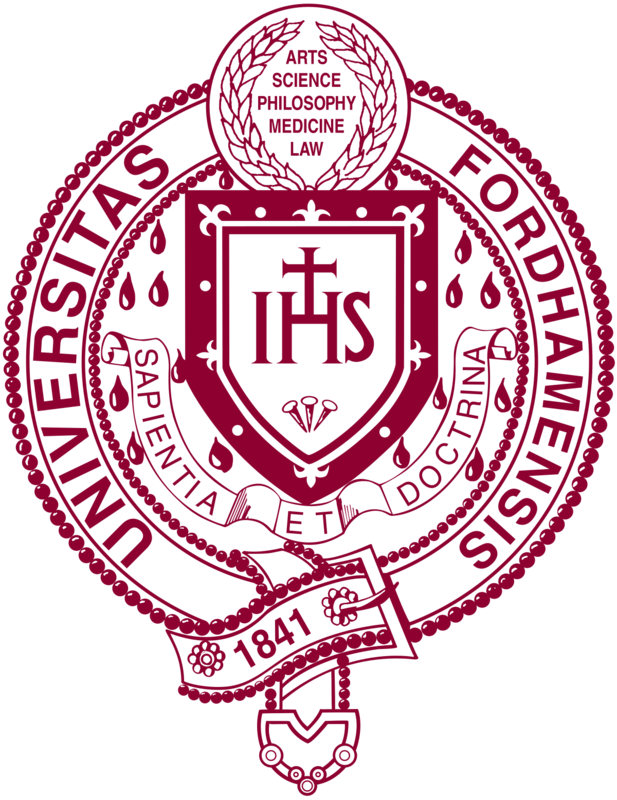 The origins of Fordham University can be traced to 1839 when John Hughes, the Bishop of New York, bought 100 acres at Rose Hill in the Fordham section of what was then Westchester County. Hughes founded St. John’s College on this site in 1841. For financial reasons, in 1846 Bishop Hughes was happy to sell St. John’s College to the Society of Jesus and in the early 20th Century, St. John’s College transitioned to Fordham University. Today, Fordham is an internationally recognized university dedicated to world-class research and undergraduate and graduate education. 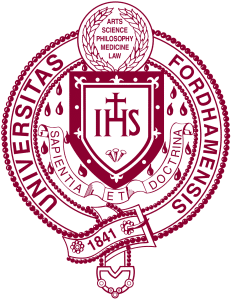 The American Catholic Historical Association is indebted to Fordham University, and its president, Fr. Joseph McShane, S.J., for hosting our Association Headquarters from 2011 until 2018. We are grateful for the stewardship of our Association by Fr. R. Bentley Anderson, S.J., Executive Secretary-Treasurer during this period. We therefore award this year’s Distinguished Service recognition to Fordham University and thank Dr. Jim McCartin for accepting the award on Fordham’s behalf.